Each state in the USA has different laws regarding boating licenses and boater safety education. Not only that, there are waters in some states that fall under federal jurisdiction rather than state jurisdiction — which means that the laws governing those waters may differ. 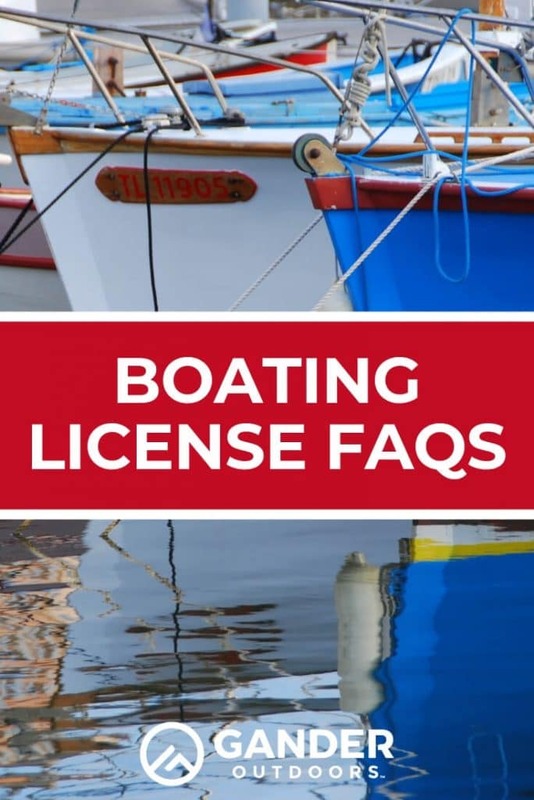 This list of boat licensing FAQs is intended to help you find the relevant legal information you’ll need to determine whether a license is a requirement in the state where you’re thinking of driving a boat. In some states, one-time boater safety courses or certifications are required instead of ongoing licensure for recreational boating. Please note that, in this post, we’re dealing strictly with licensure of people who drive boats. Boat registration is a different issue, and it’s not covered in this post. I Want to Obtain a Commercial Boating License. How Do I Do It? Commercial boating might require multiple licenses. It depends on your location and the nature of your intended business activity. You will most likely need to obtain a captain’s license from the US Coast Guard. You might also need to obtain any relevant state licenses and / or local permits from the states and localities where you’ll be chartering. If you’re planning to conduct fishing charters, you’ll usually need to obtain fishing licenses and / or permits for the fish varieties your group will be fishing for. This is in addition to other licenses that may be required. Below, I’ve collected all the links and information I was able to find regarding various state laws on licensure for both commercial and recreational boating. I welcome your comments and additions to this post, especially if you’re aware of an important link or bit of information I missed. The state of North Dakota has posted an article featuring additional insights that are likely to be interesting to anyone who’s considering a career as a charter boat captain. Yes, a boating license is required in the state of Alabama. See the Alabama Law Enforcement Agency website for more information. Alaska’s official website does not mention a necessity for a boating license to operate a non-commercial, recreational boat within its waters. However, boater education cards are available for those who want to gain confidence that they have the skills necessary to operate a boat safely within the state. Commercial boat charters of up to 6 passengers require an OUPV license, also called a “six pack” license. I was unable to find any mention of boat licensing requirements in Arizona, so it would appear that a license is not required for recreational boating. The Arizona Boater’s Handbook has a detailed list of all the other requirements for safe, legal boating in the state of Arizona. According to the Arkansas State Game and Fish Commission, Sailors and power boaters in Arkansas are both required to successfully complete an AGFC boating education course. When you pass the course, they issue you a boater education card, which you must then take with you aboard your boat when you operate it in Arkansas waters. This requirement applies to boaters born on or after January 1, 1986. A boater card is required for recreational boating in the state of California. Commercial boating in California’s lakes and other non-navigable waters requires a For-Hire Vessel Operator’s license. Captains who do commercial charters in California’s coastal waters are required to obtain a captain’s license issued by the US Coast Guard. I was unable to find any mention of a requirement for a boating license in the state of Colorado. However, I did find multiple mentions of permit requirements in various locations in Colorado — so this is something I recommend checking on for each destination in Colorado you plan to visit. Also be aware that the state of Colorado requires 14 and 15 year old boaters to have passed a boating safety course. Otherwise, 16 is the minimum age for driving a boat or personal watercraft in Colorado. You can find a more detailed list of Colorado’s boating regulations here. Instead of a boating license, the state of Connecticut requires boaters to obtain a certificate to operate a vessel. This requirement applies to people who operate motor powered boats of any length or wind-powered boats measuring 19 1/2 feet or longer. After you obtain this document, you must carry it on board your boat when you take it out. Find additional information and regulations on boating in Connecticut here and here. Anyone born on or after January 1, 1978 is required to pass a boater safety course before driving a personal watercraft or other motorized boat in the state of Delaware. A license is required for commercial boat charters in the state of Delaware. No, a boating license is not a requirement in Florida. However, there are multiple similar requirements to be aware of. Boaters born on or after January 1, 1988 must pass a boating education course or pass a temporary certificate examination. Operating a motorized vessel with ten horsepower or greater requires a photo ID card and a boating education ID card. Boater education is required in the state of Georgia. The relevant legislation is SB 136. This bill was an update to existing legislation that was passed as part of Georgia’s 2013-2014 legislative session. You can find a brief summary of the changes here. To operate a motorized boat in Hawaii, you’ll need to successfully complete a boating safety course. After you pass the course, you’ll be issued a certificate that you must keep with you when you go boating in Hawaii. You can find more information here. Commercial boaters in Hawaii are required to obtain a permit. Boating in Idaho is governed by a complex combination of federal, state and local laws. For mobile device users, the state’s boating app is the easiest way to find out about requirements in the specific area of Idaho where you plan to go boating. The Idaho Safe Boating Act governs boating activities within the state on state-governed waters. This law specifies that commercial boaters must be licensed. These FAQs are helpful in understanding the recreational boating laws and requirements. In Idaho, local law is sometimes stricter than state law. Be aware that Idaho is a state where some of the waterways fall under federal jurisdiction. Boaters born on or after January 1, 1998 must obtain a boating safety certificate. This requirement applies to boaters driving vessels powered by engines with greater than 10 horsepower. Commercial boating activities in the state of Illinois require a license. In Indiana, you must have a valid driver’s license to legally drive a personal watercraft or a boat with an engine of more than 10 horsepower. There are a couple of exceptions. One is that 15 year old boaters are allowed to drive a boat if they pass a boater education course and obtain a state-issued ID card. Learn more about boating in Indiana here. In Iowa, boater education is a requirement for boaters of ages 12-17 years old who plan to drive personal watercraft or motorized boats with engines greater than 10 horsepower. In the state of Kansas, a boat license is not required for recreational boaters over the age of 21. Boaters under the age of 21 must pass a boater education course. Find out more about boating in the state of Kansas here. I was unable to find any mention of a license requirement for recreational boating in Kentucky. However, recreational boaters ages 12-17 are required to obtain either a Kentucky Safe Boating Certificate card or a NASBLA boater education certificate. Commercial boating in Kentucky requires a license. Find more information in Kentucky’s Fishing and Boating Guide. I couldn’t find any mention of recreational boat licensing requirements in the state of Louisiana. However, there is a mandatory boater education requirement for boaters operating motorboats with engines of greater than 10 horsepower. This regulation applies to boaters who were born after January 1, 1984. Commercial charters require a license. You can find more information about safe, legal boating in the state of Louisiana here and here. Boaters ages 16 through 18 must pass a boating safety course. They must also carry ID with them as well as the certificate or card issued to them as a result of passing their course. Find out more about fishing and boating in Maine here. Most recreational boaters in Maryland must obtain a certificate of boater safety education. This requirement applies to the operators of numbered or documented vessels who were born on or after July 1, 1972. Go here for information about becoming a charter boat guide in Maryland. The official Massachusetts state website does not mention a necessity for a boating license to operate a boat on waters within the state’s jurisdiction. However, young motor boaters between the ages of 12 and 15 are required to complete a state-approved boating safety course if they wish to drive a boat without an adult being present to supervise. The reward for successful completion of the course is a boating safety certificate. A certificate is also a requirement for 16 and 17-year old personal watercraft operators. In Michigan, boaters who were born after June 30, 1996 must obtain a boating safety certificate. This is also a requirement for most personal watercraft users in Michigan. Charter boats require a license if the onboard activities include trout fishing in Michigan. You can go here to learn more about boating in the state of Michigan. Recreational boaters of ages 12 – 17 must pass a boating safety course to obtain a Minnesota watercraft operator’s permit. A captain who wishes to pilot commercial charters carrying more than 6 people in the state of Minnesota must obtain a Boat Master License. Find more information about commercial boating here. You can find Minnesota’s Boating Guide here. Boaters born after June 30, 1980 are required to take a boating safety course. Chartering and other commercial boating activities require a license. Find out more about boating in Mississippi here. Motor Vehicles, Watercraft and Aviation Statute 306.127. Boaters of ages 13 – 14 must obtain a motorboat operator’s safety certificate in order to be allowed to drive a personal watercraft or a boat powered by an engine of greater than 10 horsepower. You can find a list of approved boating safety courses here. In Nebraska, no recreational boating license is required. However, boaters who were born after December 31, 1985 must pass a boating safety course and carry the resulting certificate with them when they take their boats out on the water. Boaters who reside in Nevada and were born after December 31, 1982 must pass a boater education course to be allowed to drive a boat faster than 15 miles per hour within the state. You can find more information about Nevada’s boating regulations here. Boating education is a requirement in the state of New Hampshire for anyone aged 16 or over who drives a boat with a motor of 25 horsepower or greater. Find more information at the New Hampshire Department of Safety website. The relevant legislation governing commercial boater licensing is RSA 270-E:22-23; you can find details here. Yes, the state of New Jersey requires boaters and personal watercraft operators to be licensed. Boaters in New Mexico who were born on or after January 1, 1989 must pass a state certified boating education course. 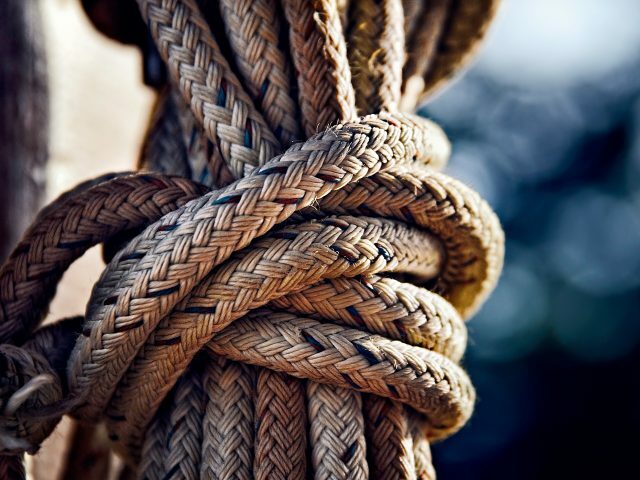 This requirement applies to both power boats and sailboats. New York does not require a license for recreational boating, but there are boater education requirements. Commercial boating activity in New York requires the appropriate charter boat license. See Also: Public Vessel Operator’s License Guide. Boaters born on or after January 1, 1988 will need to pass a boating education course to be allowed to drive a boat with an engine of 10 horsepower or greater. The relevant legislation is Session Law 2009-282 Senate Bill 43. Boaters of ages 12-15 who wish to drive a personal watercraft or a boat with an engine of greater than 10 horsepower must pass the Boat North Dakota safety course. You can find North Dakota’s boating safety regulations here and more information on boating in North Dakota here. There is no recreational boating license requirement in the state of Ohio, but there is a boater education requirement. Boaters born after 1981 who wish to operate a boat with an engine of greater than 10 horsepower must pass a boating education course. Find more information here and here. You might also wish to read Ohio’s online Boat Operator’s Guide. Commercial fishing charters on Lake Erie require both a US Coast Guard license and a Ohio Lake Erie Fishing Guide License and decal. Oklahoma has a boating safety education requirement. Boating permits are a requirement in certain areas of Oklahoma City and for the Chickasaw recreation area. It’s possible that permits might be required for boating in other areas of Oklahoma as well. You can visit the Oklahoma Department of Public Safety website to find out more about Oklahoma’s boating and water safety laws. Oregon requires a boater education card for boaters of any age who plan to drive a boat powered by a motor of greater than 10 horsepower. This requirement also applies to minors of ages 12 – 15 driving motorboats of any size. You can find more information about boating in Oregon here. 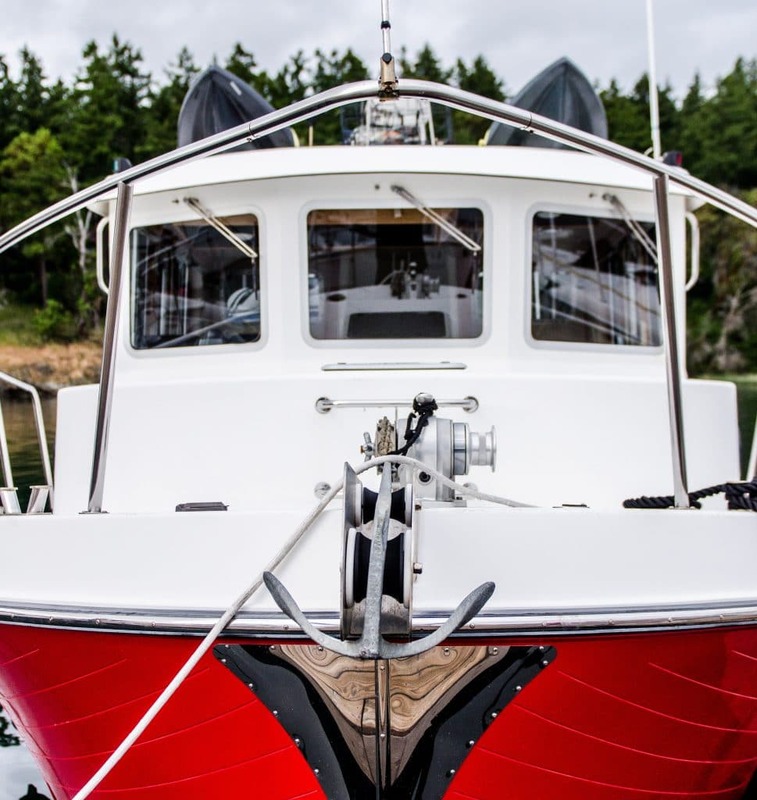 Commercial boating in Oregon requires a license — either a Coast Guard issued captain’s license or OSMB Motorized Passenger Boat Operator’s Certification (MPBOC). You can visit the official Oregon government website to find more information about guiding and chartering in the state of Oregon. The state of Pennsylvania has a boater education requirement. Boaters born on or after January 1, 1982 must obtain and carry a boating safety education certificate to be allowed to drive a boat with a motor of greater than 25 horsepower. Commercial charters in Pennsylvania require a permit. You can visit Pennsylvania’s official website to find more information about the state’s boating regulations. Rhode Island has mandatory boater education requirements. Boaters of any age who wish to operate a personal watercraft must be certified. Boaters born after January 1, 1986 must be certified in order to lawfully drive a motor boat with an engine of greater than 10 horsepower. Commercial party boats and charter boats in Rhode Island require a license. 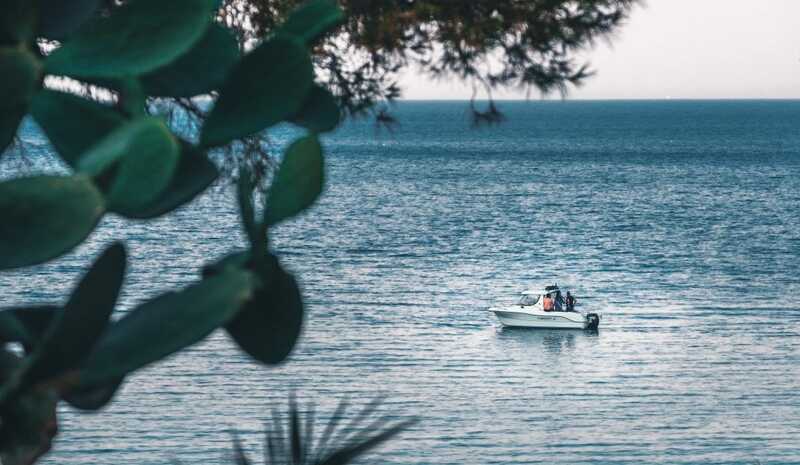 The state of South Carolina has a boater education requirement for boaters under the age of 16 who wish to drive a personal watercraft or a boat with a motor of 15 horsepower or more. Piloting a charter boat in the state of South Carolina requires a commercial license. South Dakota does not have a requirement for a boater license or boating education. You can go here to find out more about boating in South Dakota. In the state of Tennessee, boater education is a requirement for boaters born on or after January 1, 1989. The Tennessee Wildlive Resources Agency website has more information about boating in the state of Tennessee. The Water Safety Act governs boating in the state of Texas. According to this act, boaters born on or after September 1, 1993 must obtain certification by taking a state-approved boater education course. 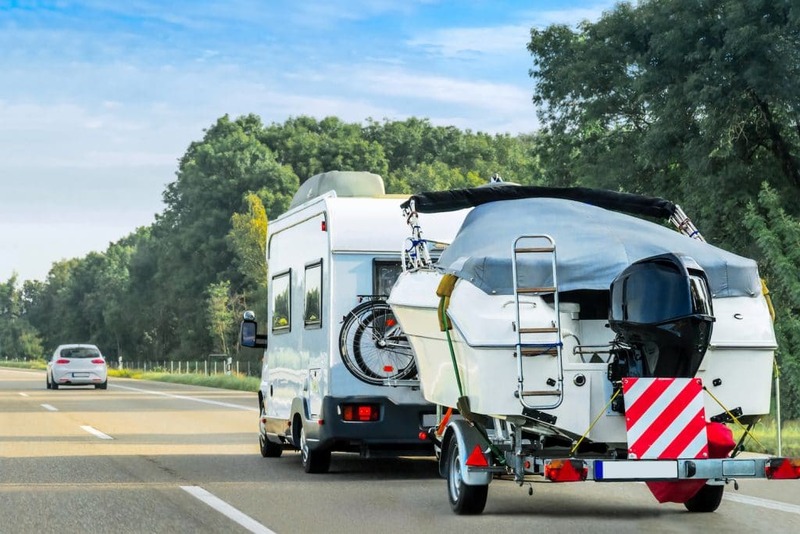 This requirement applies to recreational boaters driving motorized vessels with engines over 15 horsepower; boaters sailing wind-powered vessels measuring longer than 14 feet; and anyone who wishes to operate a personal watercraft. If you’re interested in a commercial license for chartering more than 6 passengers, you’ll need a party boat license. The state of Utah requires personal watercraft certification for children ages 12-17 who wish to operate a personal watercraft in the state. Commercial boating in Utah requires a captain’s or guide’s license. You can find more information about Utah’s boating laws here. Boating safety education is a requirement in the state of Vermont. This requirement applies to boaters born after January 1, 1974 who are over the age of 12 years old. The state of Virginia requires recreational boaters who operate vessels with engines of 10 horsepower or greater to complete a boater education course. This is also a requirement for people between the ages of 16-20 who wish to operate personal watercraft in the state of Virginia. Lifetime Boater’s Cards are available. Commercial charters in the Chesapeake Bay or coastal waters of Virginia require multiple licenses. You’ll need a captain’s license issued by the US Coast Guard. Additionally, there are two required licenses issued by the state of Virginia: a Virginia fishing guide license (either class A or class B) and a Virginia Charter / Head boat license. Federal permits may be required for some fishing charters in Virginia’s waters that fall under federal jurisdiction. You can find more information about boating in Virginia at the Virginia Department of Game and Inland Fisheries website. Boaters born on or after January 1, 1955 must obtain a Washington State Boater Education Card to operate a boat with an engine of 15 horsepower or more. You can visit the official Washington state government website to find more info about the boating requirements in Washington state. Commercial boating in Washington requires a license. 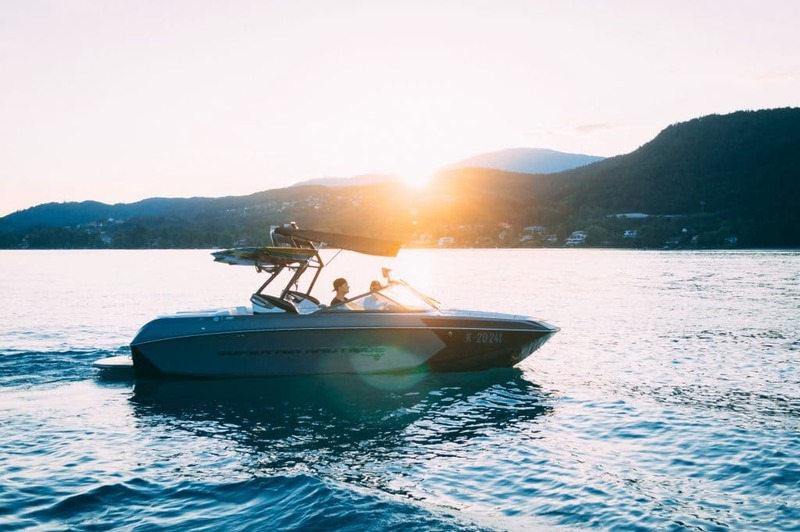 Boaters born after December 31, 1986 must pass a Boating Safety Education Course to lawfully operate a personal watercraft or motor boat in West Virginia. 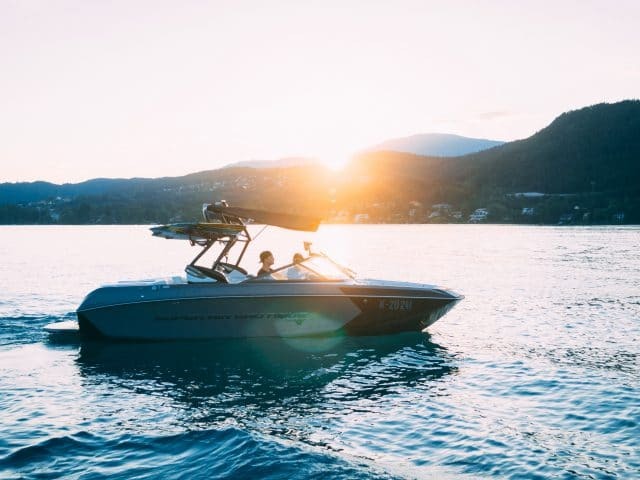 You can visit West Virginia’s official website to learn more about the boating laws and regulations imposed in the state. 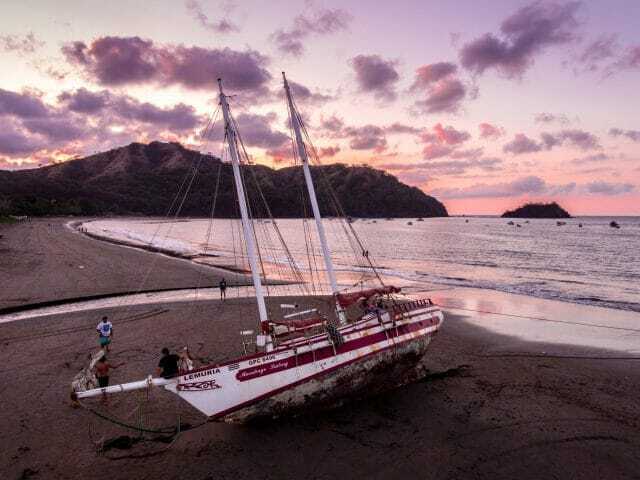 Commercial boating in West Virginia could require a combination of licenses and permits, depending on the exact nature of your intended business activities. According to the Wisconsin Department of Natural Resources (DNR), boaters born on or after January 1, 1989 must pass a boater safety course to obtain a safety certificate; apparently, they consider the certificate to be the equivalent of an operator’s license. This is a requirement for driving either a personal watercraft or a motorboat. You can visit the Wisconsin DNR’s official website to find more info in Wisconsin’s boater handbook. Commercial charters in Wisconsin’s federally navigable waters require both a US Coast Guard captain’s license and a Wisconsin Guide License. Boating education courses are available to boaters in Wyoming, but I didn’t find any mention of them being a requirement. Wyoming’s boating regulations are available online here and here. More info on boating in Wyoming is here. Where Can I Find a License Holder for Keeping My Boater Education Card or License Dry? Try the Boatmate document pouch available for sale at Gander Outdoors. As always, check with your local authorities for the latest information. Have fun out there!